Due to the constantly changing legal and social landscape of Minnesota, Standpoint presents concise and accurate information on new laws and a case law update each year. These materials are used as the basis for Standpoint’s annual New Laws Training, which is conducted statewide each fall. Learn more about Standpoint's New Laws Training. Standpoint's monthly webinar series covers a variety of subject matter. This series exists to provide training to advocates across the state, at no charge. Learn more about Standpoint's 101 Webinar series. 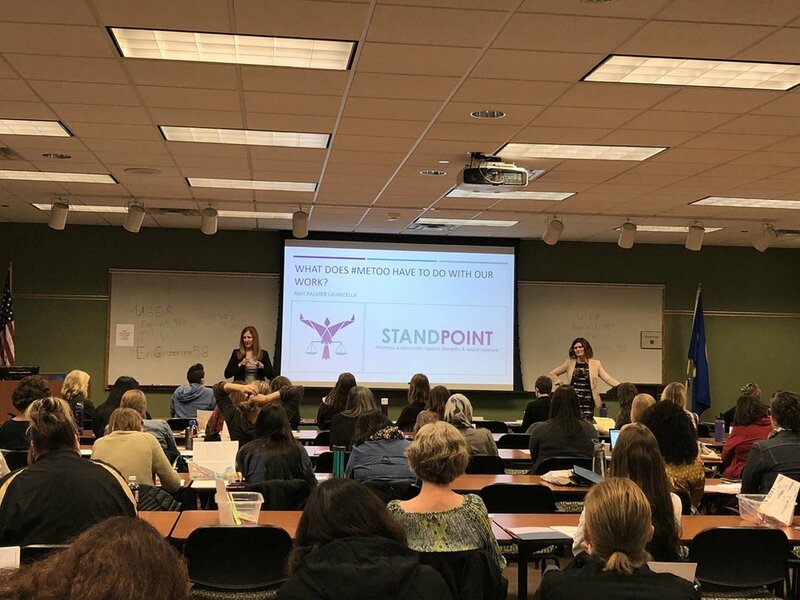 Standpoint specializes in delivering trainings and technical assistance on various legal aspect of domestic and sexual violence. Our trainings integrate adult learning principles, are interactive in design, and ask participants to critically analyze the response to domestic and sexual violence. If you are interested in training and technical assistance, we begin by learning more about your goals and ideal outcomes. This dialogue guides our offerings and often leads to exploring new possibilities, visions, goals, processes, and options. For more information about how we can work together to meet your training needs, please fill out the form below or give us a call.